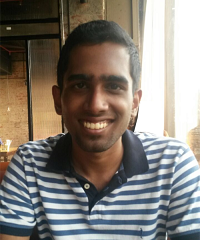 Arun Lakshmanan，a PhD researcher in our lab, recently completed a competitive summer internship with the company Oculus VR. In this position, he was researching within the field of virtual reality, also known as VR. PhD student interns at Oculus VR, from MechSE.